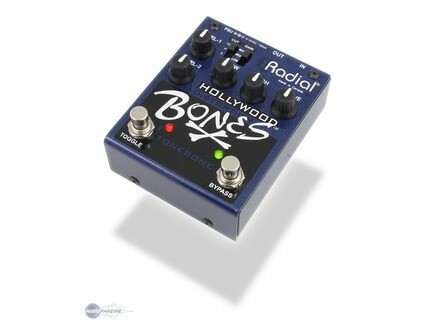 Bones Hollywood, Other guitar saturation effect from Radial Engineering in the Bones series. 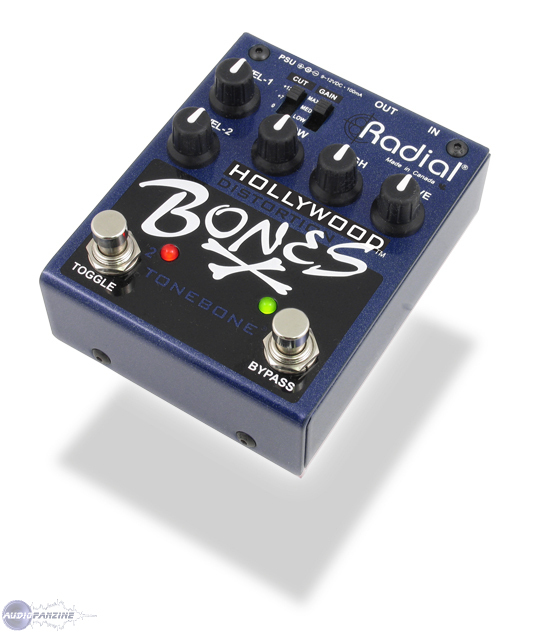 After the success encountered by its Tonebone series, Radial Engineering has announced a new series of guitar effect pedals for guitars: the "Bones". While the Bones Series claims to have kept most of the assets of the Tonebone range (dual channel function, solidity and sound quality), the price is said to have been toned down. The Fullerton Distortion, a U.S.-style distortion inspired by the Tonemode TriMode. The London Distortion, a more british-sounding model. The Texas Distortion, a Texas-style overdrive. The Twin City, an ABY box switcher. These new effects should be available very soon, with other models in the series still to come in 2009. No MSRP officially announced. Dimarzio gets back to '67 DiMarzio has released the DP 419 Area '67 single coil pickup for electric guitars, a new model which aims at resurrecting the spirit of '67. Eno Music ET-360C Eno presents the ET-360C tuner. Vibesware Guitar Resonator Vibesware® presents the Guitar Resonator, a new patent-registered harmonic feedback generator.